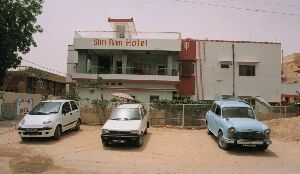 Shri Ram Hotel provides cosy environment to its guests. Owned by a scion of the Bika family the hotel is an embodiment of Rajput culture and tradition. The owner, a retired Brigadier, enjoy enlightening the visitors on a variety of subjects ranging from the history, culture and religion of Rajasthan on request.